Lisa meets Margareta and Björn Jonsson who run an organic sheep farm with 300 heads of sheep in a beautiful part of Jämtland. 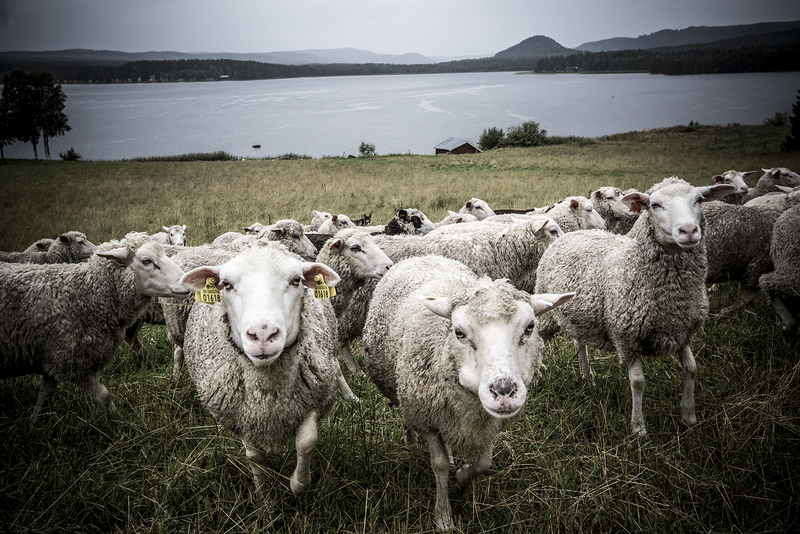 Norrbro sheep farm is an organic farm run by Margareta and Björn Jonsson. It is located in Övsjö, Jämtland county. With my sister we drive for almost two hours to reach their farm. As we change into our rain boots, Björn explains some of the farm’s history. It is his parents old land but he has built the big shed specially designed for the sheep. They have about 300 ewes that they breed from. As we walk into the sheep shed Björn tells us how it's important that all sides are open so that the air can blow trough. Inside they have about twenty five four months old studs and some of the older studs. His wife Margareta explains that at an organic farm the animal feed must be 100% organic grown without fertilizers and with organic manure. There are also specific rules for shed space in winter for those who keep their animals inside, and compulsory to keep the sheep outside most of the year. Margareta shears the sheep herself, it is done twice per year and she can shear about 10 sheep per hour, she says. At their farm they make most money by selling the sheep and stud lambs to the meat industry. Margareta takes us to the graze land with the most magnificent view we have seen so far in Jämtlands county. The young dog helps collect the sheep and we can see the calm ewes closer. Their features looks much like merino.